The recent confirmation of surface and subsurface ice and water reservoirs on Mars represents ground breaking news and the need to prepare Space Law documents that will preserve and protect these critical resources by future missions to Mars. The Mars Global Surveyor spacecraft not only concluded that Mars has a molten liquid core that has some similarity to Earth, but it has detected surface and the possibility of even larger subsurface water reserves that could prove useful to human habitation. Along with this evidence, the Mars Odyssey orbiter confirmed (in 2002) ice at the north pole (and in 2004, the Mars Express has confirmed ice at the south pole and hydrogen in the atmosphere).The January landings of NASA’s Spirit and Observer missions hope to write a new history on the shared biosphere of Mars-Earth and the possible beginnings of life on earth connected with Mars. A new generation of ecological issues on Mars stands before us which exemplify the interconnectedness of life and its natural support systems for future life on Mars. Modern scientific discoveries are revealing that localized activities can have global consequences and that dangers of contamination can be slow and perhaps barely perceptible in their development until it is too late. French, Hilary et al. (1992) After the Earth Summit. Future of Environmental Governance. Washington D.C.: Worldwatch Institute. The Ecological Integrity section of The Earth Charter Initiative gives an outstanding model for a global ethic and for adapting human life to work in a vast evolving universe with new planetary habitats. 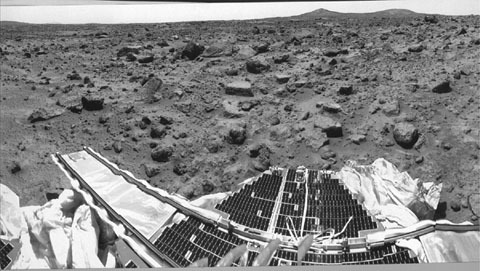 See www.earthcharter.org.Levin, G. (1997) “Viking Label Release Experiment” (Water and Life on Mars Reconsidered). Proc. Internat. Society for Opt. Imaging. Proc. Series, 3111, pp. 146-161. Discussions with Walter Brown, former head of Radar Team at JPL, August 2002..
A program of investigation of Saturn’s rings must include experiments in superconductivity. The authors’ hypothesis of the superconductive material states of the rings of Saturn makes it possible to add to classical planetary ring theory a non-conflicting superdiamagnetic model. By incorporating the physical effects and phenomena associated with superconductors during interaction with the magnetic field, many problems of planetary ring behavior will be solved. Thesis: Orientation of elongated particles is normal to the magnetic field lines. 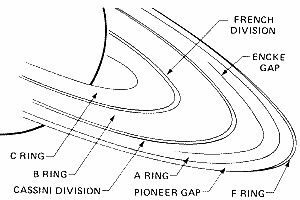 For an explanation of the phenomenon of the variable azimuth brightness of Saturn’s A ring, hypotheses based on the assumption of synchronous rotation of particles, or with the asymmetrical form as extended ellipsoids, or with asymmetrical albedo of the surface, were put forth. Fig 8.1. Orientation of the prism of superconducting ice in the magnetic field of Saturn. The phenomenon of diamagnetism consists in the following: in substance placed in the magnetic field, the additional magnetic moment directed opposite to field arises. The body is magnetized not along the field but against the field. The rod of diamagnetic substance is established perpendicularly to the magnetic field lines. The magnetic field of the space body contains as constituents a polhodal field with field lines directed on meridians as dipole, and a toroidal field with field lines directed along parallels. It is also known that at temperatures below -22oC growing snowflakes get the form of prisms7. Thus, the prism of superconducting ice will be orientated perpendicularly to field lines of polhodal (HP) and toroidal (HT) constituents of the magnetic fields of Saturn. Thesis: Push-out of superconducting particles from the rings plane or their reorientation by magnetic anomaly. Spokes in the ring B of Saturn, as well as the spokes of any wheel, are located almost along radii . It must be said that the existence of radial structures in a planetary ring throws a call to all traditional representations. The fact is that according to the laws of Kepler, the areas of the wide B ring farther from a planet rotate slower than those placed nearer. Therefore any radial formation should be distorted and washed out for a few tens of minutes. The characteristic sizes of ‘spokes’ are about 104 km along radius and about 103 km along the orbit of the ring. They consist of micron and submicron particles. Until recently, the structure of the rings of Saturn was explained exclusively as the action of gravitational forces. However as soon as ‘spokes’ were found, there was an assumption that they are connected to electromagnetic interaction, as they rotate almost synchronously with the magnetosphere of Saturn. Analysis of spectral-emitted radiant power of the spokes gives a characteristic periodicity 640 ,6+-3,5 min, which agrees closely to the period of rotation of the magnetic field of Saturn: -639 ,4mines15. Moreover, there exists a strong correlation of mixima and minima of activity of spokes with the special magnetic longitudes connected to presence or absence of the SKR radiation. This confirms the assumption of communication of the spokes with the magnetic field of Saturn and testifies to the presence of large-scale anomalies in the magnetic field of Saturn. It is difficult to give a detailed analysis of the formation of spokes as we don’t know which script is realized. Definitely it is possible to say, that the hypothesis about the superdiamagnetic condition of the substance in the rings of Saturn can work both for the orientation hypothesis of spokes formation, and for the levitation one. Thesis: The existence of critical frequency (~1011 Hz) above which electromagnetic waves are absorbed and below which ones are fully reflected. The opening of strong radar-tracking reflection from rings of Saturn in 1973 was surprising. It turned out that the rings of Saturn actually have the greatest radar-tracking section among all the bodies of our solar system. Originally high reflection and small brightness of ring particles to radio waves implied that the ring particles consisted of metals. The data from Voyager I and II later excluded this possibility. A disk of superconducting particles will completely reflect radiation with frequencies <1011 Hz ,and poorly reflect radiation with frequencies >1011 Hz. This is connected with the fact that radiation is strongly absorbed when the energy of photons is great enough to throw electrons through energetic slits. As in superconductors, the absorption begins at frequencies greater than 1011 Hz. Let’s apply a variable field to the superconductor. If the frequency of the applied field is rather high, the superconductor behaves as a normal substance. This occurs because at rather high frequencies of the applied field the superconducting electrons, being in a lower energetic state than normal electrons, are excited by photons of the applied field where they behave like normal electrons. This occurs at frequencies greater than 1011 Hz (that is higher than the frequency of a very long wave in the infrared area). The properties of a superconductor under optical frequencies do not differ, therefore, from the properties of a normal substance. And, for example, any visual changes are not observed in a superconductor under its cooling at temperature below the superconducting transition temperature. The superconductors of type I practically have no resistance up to frequencies of 100 Mhz. At a frequency of about 100 Ghz there comes a limit, above which the frequent quantum effects cause a rapid increase in resistance. Fig.3: (Top) Brightness temperature of rings when the lengths of waves are from 10:m up to 10cm. Transition from radiation of a black body (100 micron) to practically complete reflection is observed. (Bottom): Surface resistance of superconductor (niobium) as a function of frequency at temperature 4.2 ºK. To understand these two dependencies the following explanation is necessary: according to Kirchhoff’s radiation law, a body which under a given frequency and temperature absorbs more radiation should more heavily radiate, and vice versa. Thesis: Generation of electromagnetic waves by Josephson’s contact with frequency 4 ,83594. 1014 Hz/V – non-stationary Josephson effect. ‘Voyager’ research has shown that the rings radiate strong electromagnetic waves which are probably (a) the result of interaction between charged particles of ice, or (b) a result of destruction and friction among ice particles when collisions occur. If this is the case, then it is probably necessary to admit that the complex movement of the particles that form the rings of Saturn, depends not only on mechanical forces which have been previously taken into account, but also on other interactions, for example, on electromagnetic ones. During both encounters of the ‘Voyagers’ with Saturn planetary radio-astronomy, the experiment (PRA) has shown fixed, non-polarized, very broadband radio radiation, through all observable ranges of the experiment (20,4 kHz-40,2 MHz). These incidental radio discharges are called Saturn’s electrostatic charges (SED). The average period of SED was determined by Voyager I and II to be 10 hour 10+-5 min. If the ring is a source of SED, the area of the source can be located at a distance of 107,990-109,200 km from the planet according to measured periodicity. of the electrical or magnetic field occurs, the weak link will generate electromagnetic radiation with frequency proportional to the loss of power in this transition. The ratio between frequency n and voltage in transition V looks like n=2eV/h, where e is a charge of an electron and h is a Planck constant. The ratio 2e/h is equal to 483,6 MHz/mV. 1. L.W. Esposito, J.N. Cuzzi, J.B. Holberg, E.A. Marouf, G.L. Tyler, C.C. Porco, “Saturn’s Rings, Stucture, Dynamics and Particle Properties”, Saturn, T.Gehrels, M.S. Matthews (eds. ), Univ. Of Arizona Press, Tucson, pp. 463-545, 1984. 2. R.M. Goldstein, G.A. Morris, ” Radar Observations of the Rings of Saturn,” Icarus, 20, p .249-283, 1973. 3. N.N. Gor’kavyi, A.M. Fridman, Physics of the Planetary Rings: Celestial Mechanics of Continuous Medium, Nauka, Moscow, 348 p. 1994. 4. A.Ju. Pospelov, V.V. Tchernyi, “Electromagnetic properties of material forecast in the planet rings by methods of functional physics analysis”. Proceedings of the International Scientific -Methodical Conference “Innovative Design in Education, Technics, and Technologies,” VSTU, Volgograd, Russia, pp.75-77, 1995. 6. D.A. Mendis, J.R. Hill, W.H. Ip, C.K. Gorertz, and E. GrÃ¼n, Electrodynamic Processes in the Ring System of Saturn, T. Gehrels, M. Mathews (eds. ), The Univ. Of Arizona Press, Tucson, pp.546-589 1984. 7. M.L. Kaiser, V.D. Desch, A. Lecacheus, “Saturnian Kilometric Radiation: Statistical Properties and Beam Geometry,” Nature, 292, pp.731-733, 1981. Copyright © 2005 J.J. Hurtak, Ph.D.
With “outer space” daily becoming less of an abstract notion and more of a cultural reality, the utilization of “near space” must be addressed on a practical level. In the wake of successful Mars fly-overs and landings, humanity must consider the government and management of regions no longer reachable only in imagination, but reachable and exploitable by man and his various technologies. An equitable and binding code of behavior, applicable to all who venture into these realms, is the concern addressed in our lead article. 1. (1967) The Treaty on the Principles Governing the Activities of States in the Exploration and Use of Outer Space, including the Moon and Other Celestial Bodies (commonly known as the Outer Space Treaty) seeks to keep outer space free for exploration by all States while protecting celestial bodies from national sovereignty. The Treaty permits private enterprises to use space for peaceful purposes if their activities and results are made public. The responsibility for all launches is borne by the State. 2. (1967) Agreement on the Rescue of Astronauts, the Return of Astronauts and the Return of Objects Launched into Outer Space (the Rescue Agreement) details assistance and retrieval procedures. 3. (1971) The Convention on International Liability for Damage Caused by Space Objects (the Liability Convention) attaches liability to the launching State. 4. (1974) The Convention on the Registration of Objects Launched into Outer Space (the Registration Convention) requires the UN to maintain a central register of specific information for each space object, available on inquiry. 5. (1979) The controversial Agreement Governing the Activities of States on the Moon and Other Celestial Bodies (the Moon Treaty) designates space as the “common heritage of mankind,” not merely the “province of mankind” as written in the Outer Space Treaty. Article 11 of the Moon Treaty directs the establishment of an international regime, whose purposes are: the orderly and safe development of the natural resources of the moon; the rational management of those resources; the expansion of opportunities in the use of those resources; and an equitable sharing by all States-Parties in the benefits derived from those resources. The “common heritage of mankind” would thus require an international consortium to monitor and hold accountable actions with potential consequence towards any other State. Only nine nations have ratified the Moon Treaty (Australia, Austria, Chile, Mexico, Morocco , the Netherlands, Pakistan, Philippines, and Uruguay), while over 90 have signed the Outer Space Treaty. By UN agreement, five signatures are sufficient to validate a treaty as an international instrument, but there is concern at the refusal of the USA and Russia/USSR to sign—the two nations most likely at present to engage significantly in space exploration. Obviously, it is the criteria for exploitation of natural resources found on the moon, Mars and other celestial bodies that is of the greatest practical interest. In the foreseeable future, Mars and perhaps its two satellites will be the only sources of usable resources for space researchers or colonists, until we are able to reach the nearest earth-asteroid for mining. By not signing the Moon Treaty, the USA and Russia/USSR tried to set a precedent for the possible future commercialization of space that most likely will occur in the 21st Century. Most scientists also do not want to recognize the Moon Treaty for fear that it would inadvertently prevent our expansion into space if no economic benefits can be derived. The Moon Treaty, however, does not place a moratorium on exploitation of natural resources, but insists upon the establishment of an international regime to monitor and control such exploitation. In fact, mining could be begun on an experimental basis even while clearer rules are established and eventually made law. But what is at question here, if taken literally, is the “common heritage of mankind” clause which indicates that if exploitation does commence, all nations should have a share in the proceeds. Monitoring through remote sensing is a priority for most Mars orbital missions. Besides being used to evaluate and select landing sites, this operation can furnish a complete geological mapping of the surface and subsurface of Mars, while analyzing mineralogical features at the same time. With the potential discovery before us of new resources, it is the commercialization of outer space and its celestial bodies that must be addressed. As Space Station Freedom (SSF), a multi-purposed facility to be stationed in low-earth orbit is developed and the Mars program is expanded in the 21st Century, more and more private companies will want to become involved in space development. Mineralogical discoveries on a distant planet or asteroid will enhance this growth tremendously. Numerous companies in at least 20 countries are already involved in commercial space enterprises, ranging from satellite communications and remote sensing to microgravity manufacturing research and development. Service corporations such as insurance companies and promotion agencies have also become involved. In the near future, over a dozen countries will be able to launch their own satellites and, as satellites continue to crowd low space orbits, the rights of satellite power and their purpose in space will become more and more contentious. In July 1985, polystyrene spheres went on sale as the first commercial product to have been manufactured in space. Produced onboard the Space Shuttle Challenger, where astronauts found that space manufacturing eliminates distortions in shape and size caused by gravity.3 Soon other products—advanced metals, alloys, semiconductor materials, pharmaceuticals, bubble free glass and ceramics, polymers and organic chemistry—may carry the label “Made in Space.” Space-produced gallium arsenide crystals (a product of Fairchild Industries), for example, have already become key elements in solar power systems in space and on earth, and have uses also in lasers, computer chips, fiber-optics systems and antennas. As more products are developed in space and we witness the construction of artificial structures on Mars, whether in the fashion of Buckminster Fuller or Arthur C. Clarke, I suggest that a new type of “astro-law” will have to be established to match the scope of private enterprise activities. Astro-law will address the finer issues of liability insurance in the integration of public and private services in outer space. Astro-law will also have to define criminal jurisdiction in cases where there has been a deliberate violation of common properties. International law may set the framework for outer space law, but when it comes to governing a large number of individuals in space, with manufacturing and mining occurring in remote areas, a different set of laws for regulating relationships will be needed. As colonies or bases are established on the moon, Mars or the La Grangian points, we must avoid dispute resolution and administration taking on its own form of self-regulation and self-governance without adherence to an international legal system. The best system might be that which has already been proposed, an “international regime,” with individual groups or colonies having some local say, as exists in the canton system of Switzerland. Theorists like Karen Cramer of the Space Policy Institute (George Washington University, Washington DC) would like to see a Lunar Users Union (LUU) or, for purposes of this paper a Mars Users Union (MUU) where those on Mars become the major decision-makers and hence not as restrictive as an international consortium from Earth. Like the international regime, the MUU would grant rights to private enterprises and states for commercial mining and exploration and would function mainly to ensure non-interference amongst groups wishing to pursue similar interests. Although in some cases certain terrestrial laws may no longer be applicable in space, we should realize that our laws have evolved for the protection of citizens over a 2,000 year period and that they should serve as the initial basis for any new territories. Our laws might be the one connection that these space adventurers take with them as they travel into even greater reaches of outer space. Even when self-sufficient colonies exist, the basis of the laws that we have evolved on earth should be the basis for life in space, to ensure the protection of earth citizens, wherever they travel to these colonies, and to ensure only minimum or necessary exploitation of Mars, the asteroids, or eventually other planets. A legal framework is necessary for international cooperation in space with respect to how territorial jurisdictions will apply to temporary or permanent installations on Mars and other celestial bodies. Once precedent has been set in connection with initial, unique missions, the need for generic legal guidelines pertaining to jurisdiction and control of multinational activities can be foreseen. A balance will be needed between Earth-based law and space law when considering off -earth production and resource removal. Preconditions might be outlined, directing dominant powers to recognize Third World interests and form cooperative alliances, providing certain availability of new technologies, data, and resources within reasonable economic limits. Finally, international agreements will have to be worked out with scientific and logistic flexibility maintained, so that adjustments can be made for the missions to and in the Mars environment. Technical design facilities must control re-entry, retrieval and disposal techniques in all commercial payloads. Natural decay mechanisms cannot be relied on for removal. With such agreements, the necessary balance for the exploration and use of outer space and the protection of this shared universal resource may be maintained for future generations. Space law is now only in its infancy. New branches of the discipline will probably develop into astro-law as it applies to outer space and astro-law relating to celestial bodies. So far, space law has really been earth law, but regardless of its applicability, international space law should stem from humanistic philosophies evolved from rules and forums developed here on earth. Future Mars missions, with perhaps a joint manned mission (US-CIS-ESA) to land on the surface of Mars in the early part of the next century, will have a major impact on the development of space law in its natural environment. As people begin to remain away from the earth for extended periods and finally establish permanent residences off planet, the earth-based courts might be received by the colonists in the same way that American colonists perceived the English Privy Council—with increasing antagonism toward a distant overseer. No doubt ecospace will be a distinctive economic/social zone. If proper laws and permits are allowed with reasonable economic and technical rewards, the commercialization and development of outer space will undoubtedly expand in the future. It is anticipated that international law will also adapt and expand to meet the challenges presented by the space frontier, in much the same fashion as US product liability principles have followed the growth of commercial aviation on earth. 1Multimedia Space Educators’ Handbook, NASA Johnson Space Center, Houston, Texas 77058. 3 Chemical process developed by NASA and Lehigh University under the direction of Professor John W. Vanderhoff. by D. M. Hurtak, M.S.Sc. As space exploration continues to bring us closer to even the more distant planets of our solar system, and as the spirit of expansion that informs western civilization remains central to so many of our terrestrial philosophies, it is easily understandable that there should emerge in the scientific community the concept of “terraforming”—the attempt to transform an alien environment into one that more closely resembles the earth’s environment, particularly in its ability to support human life. Our article presents some of the very practical notions that are currently under consideration in the hope of turning this idea into a reality in our immediate future. In August 1996, NASA scientists publicly announced that a meteorite discovered in Antarctica showed evidence of previous microbial life. Analysis of the meteorite’s interior revealed the same gas and chemical ratio and composition that Viking had found on Mars, leading scientists to believe that the meteorite (see Fig. 1) had originated on Mars thousands of years ago, and that Mars had once harbored life, however primitive. 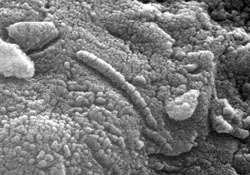 Although controversy still surrounds this discovery (many scientists contend that the biological evidence in the material is not the “tubular structure of carbonates” left behind by some microscopic life form, but a set of geometries created by chemical outgasings within the rocks), scientists do agree that billions of years ago Mars was a more hospitable place, with conditions similar to those that gave rise to life on Earth. 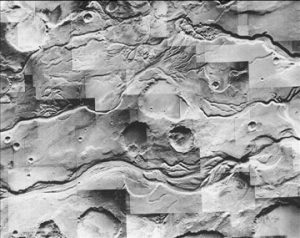 Viking and Mariner pictures of the Martian surface reveal dry river beds and drainage patterns that could only have been created by water flow (see Fig. 2). Today, temperatures on Mars are well below freezing most of the time, and no liquid water exists on the surface of the planet. Human travel to Mars in the future will most probably reveal that “life” as we understand the term no longer exists there. If humans wish to colonize and eventually inhabit the red planet, two options exist: 1) We can build space stations and underground structures as habitations, wearing space suits every time we venture out on the surface, or 2) we can terraform the planet: introduce primitive life and transform the Martian atmosphere into a climate suitable for at least some life, perhaps similar to what it was in the far distant past. Critics might say that terraforming is simply a human attempt at “playing God”; others might wonder if other planets throughout the universe could not have been likewise selected as the platform for life by some “superior intelligence” that deposited a few microbiological life forms in the right places only to return every hundred or thousand years to see how the planet was progressing. Earth’s history itself is one of terraforming. Scientists believe that carbon dioxide (CO2) may have made up as much as 80% of Earth’s atmosphere around 4.5 billion years ago, diminishing to 30-20% over the next 2.5 billion years. Free oxygen was scarce-to-nonexistent in this early atmosphere, and indeed poisonous to most of the anaerobic life-forms that existed.1 Through some exceptional, even Divine “Force of Nature” photosynthetic organisms evolved that transmuted carbon dioxide into oxygen. Aerobic organisms, those that utilize oxygen, later evolved, and thus so did our “perfect” atmosphere. This atmosphere not only provides the right chemical elements for breathing, but gradually changed the earth’s temperature to allow mammalian life to thrive. showing how increases can be generated in less than 150 years. Center, A Division of the National Safety Council. While the atmosphere of Mars closely resembles that of primitive Earth, scientists have confirmed that Mars today has water, carbon, oxygen, and nitrogen. 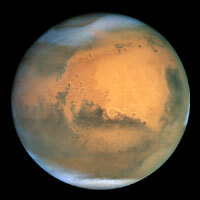 More significantly for its temperature, Mars has an atmospheric pressure that is only 1% that of Earth’s. For water to have flowed upon the Martian surface its atmosphere would have to have been thicker than it is today. A primary factor in determining whether a planet like Mars can be terraformed is to determine if there exist (or could be introduced) sufficient greenhouse gases such as CO2 to create an atmosphere that would warm the planet at least to the point above freezing. Most scientists believe that there is a sufficient amount of CO2 on Mars, in its polar caps and in its surface soils (the regolith), to begin the terraforming process. Zubrin and McKay believe the place to start is with the placement of orbital solar reflective mirrors on Solar Power Satellites (SPS) that would circle the Martian poles and focus sufficient heat from the sun to begin warming the caps and releasing CO2 into the atmosphere.5 This process would not destroy the polar caps but would melt a controlled amount, sufficient to start the thickening of the Martian atmosphere and global warming. Zubrin and McKay have also calculated that a temperature rise of 10°C (18°F) could further release significant amounts of CO2 from the Martian regolith (surface soils) and increase atmospheric pressure by as much as 200-300 mbs. Another way to introduce greenhouse gases on Mars would be by drilling to release water vapor. 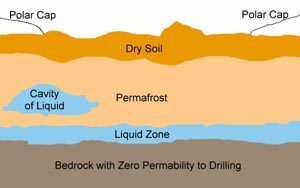 Scientists now suspect that the surface permafrost layer of Mars might contain pockets of water at a drilling depth of 800 meters. Liquid zones at 800 meters would release hot water as well as water vapor. Water vapor itself is an effective greenhouse gas and in its vaporous state has an important heat -trapping “greenhouse effect.” If water is not found in sufficient quantities, drilling might find and release other gases that could assist the global warming. Another means under discussion to introduce greenhouse gases is the establishing of factories on Mars that would principally produce greenhouses gases (CFCs) through the electrolytic and chemical methods which have contributed to “global warming” on Earth. Once Mars could support even the smallest forms of life, we would artificially follow the course that earth has taken, that is, introduce primitive bacteria that produce not only carbon, but methane and ammonia—strong greenhouse gases which could later be removed from the atmosphere when the planet had warmed sufficiently. Although Zubrin and McKay estimate that Mars would only reach an atmospheric pressure close to that of Earth’s in 1,500 to 2,500 years, this is not an outlandish time frame. Man could live and work on the planet during the process of terraforming. In fact, with the proper implementation of all four factors—mirrors, drilling, factory-produced gases (CFCs), and bacteria—it could conceivably take less than 500 years for humans to be able to walk on Mars without a space suit, wearing only a small “scuba-type” breathing apparatus around their mouths. Once the Martian atmosphere has thickened and temperatures have risen above freezing, the final stage of terraforming can begin. At that time, in addition to bacteria, primitive plants are to be introduced to aid in transforming the abundant carbon dioxide in the atmosphere into the oxygen necessary for more advanced forms of terrestrial life. This process could take over 100 ,000 years, with established organisms slowly removing CO2 from the atmosphere through the photosynthetic use of sunlight. Sufficient greenhouse gases would have to be present to contain the heat generated during this process and prevent the planet from cooling once again. Gradually, the oxygen content would reach a level where humans could breathe, a process that occurred on Earth several billion years ago. More advanced plants could not be introduced until the atmosphere contained enough oxygen and nitrogen for their survival. Terraforming is not an impossibility; humans begin the process and nature completes the majority of the work. Terraforming only becomes a doubtful possibility if Mars lacks sufficient reserves of CO2, water and nitrogen, elements which are essential for life as we know it. But Mars seems to have an abundance of these important elements and, as McKay sees it, terraforming would help Mars revert to an earlier state when microbial life flourished, as evidenced in the Mars meteorite. Of course, if life currently exists on Mars in any form, no matter how small, we would not want to disturb its evolutionary process and must keep a “hands off” approach. However, if no life currently exists there, why not make it a better place—not only for human generations to come, but for all the other exobiological expressions of life in the universe that may surprise us with a new definition of life. 1 Zubrin, Robert, The Case for Mars, New York: Touchstone 1997. Connecticut Avenue, NW, Suite 1200, Washington, DC 20036.
rise to 0.09% by the year 2100 as a result of human activities. Final Frontier,” New Scientist, Vol.141 No.1911, 5 February 1994, p. 28. 5 McKay, C., Kastings, J. and Toon, O. “Making Mars Habitable,” Nature 352 (1991) 489-496.